Huge Glitch Allows People to Spy on You Via FaceTime. Here's How to Disable It. 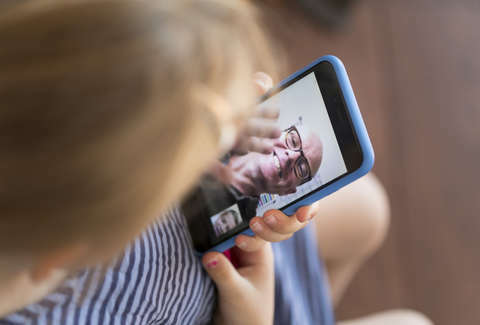 If you're one of the millions of people who regularly use Apple's FaceTime app to keep in touch with friends and family, you may want to tread carefully right now. On Monday, a major software bug was discovered that makes it possible for callers to use the app to eavesdrop on you while using it, even if you don't answer a FaceTime call. The unnerving glitch, which was first reported by 9to5Mac on January 28 and replicated by several other outlets, quickly set off alarms for iPhone and Mac users across the world on social media. It even prompted a response from Apple, which told CNET it would be putting out a fix in a software update sometime "later this week." However, that hasn't assuaged fears from plenty of people concerned with their privacy in the meantime. So, for those out there who're looking for the best ways to protect themselves immediately, here's what you need to know. The bug makes it remarkably easy for iPhone users to essentially listen in on the audio (and sometimes see video) from a FaceTime call recipient, even when they didn't answer. To do it, someone on an iPhone simply has to start a FaceTime call, then add their own number to the call once it's ringing. This would then transmit audio from the recipient's device before they even pick up, and if the recipient rejected the call using their iPhone's power button, it would also transmit video from their front-facing camera. Even more troubling, 9to5Mac found that the bug also worked when people were calling a Mac computer. Fortunately, as of late Monday, Apple reportedly took FaceTime's group call abilities offline while they worked out a fix. However, if you want to be extra certain that no one can listen (or see) in on you when you're not aware of it, here's how to disable FaceTime on your devices for the time being. First you'll need to open Settings then scroll down to FaceTime, where you simply need to switch the green button to disable FaceTime. Find the FaceTime app and launch it (if it's not on your dock already, you can easily find it in Finder under Applications). Then, tap the FaceTime menu up top and select the option "Turn FaceTime Off." Voila, that's it. If you want to be extra careful, you can also easily sign out of FaceTime altogether on your computer. To do this, open your FaceTime app again and click the FaceTime menu up top, then select "Preferences." From there, you just click sign out. Hopefully, Apple will be able to address the concerns and issues sooner rather than later, and add some protections to ensure this sort of glitch isn't as easily exploited going forward. Then again, we don't blame you if you retire FaceTime from your favorite apps list for a while.